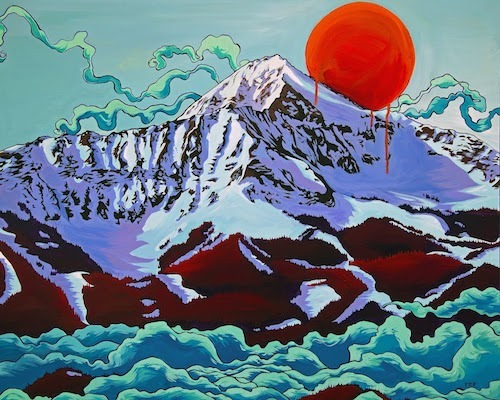 In the world of skiing, Elyse Saugstad stands on one of the highest peaks. Winner of the Freeride World Tour in 2008 and recipient of the Best Female Performance Award at the Powder Awards in 2013, she was also named one of the Top 50 Women in Action Sports by ESPN in 2014. But Elyse has another title that some of you may not know about: Survivor. 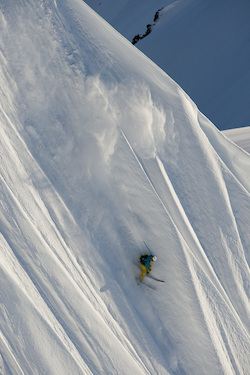 In 2012, she was in a group caught in an avalanche at Tunnel Creek in Stevens Pass, Washington. Three people died; Elyse survived by deploying an avalanche airbag. Since the group included some of the nation’s top professional skiers, as well as writers and a photographer from POWDER magazine, the avalanche received a lot of media attention. There’s a terrific interactive article about the whole thing in the New York Times (you can find it here), which I highly recommend. I spoke with Elyse recently from her home in Tahoe. SD: So Elyse, how’d you get started in freeskiing, anyway? ES: I started skiing before I could walk. As I grew up I got into racing, and I did well, but I burned out in high school. Then when I went to college I had a lot of friends who were really into freeskiing. I wasn’t racing anymore and I really missed skiing, so I went in that direction. And it was so much fun! I grew up in the big mountains of Alaska, and I think that helped, too. After I graduated I eventually moved to Squaw and became a pro skier. That was about ten years ago. SD: You’ve made a number of ski movies. Are you working on anything right now? ES. Funny you should ask. My husband, Cody Townsend, who’s another professional skier, worked with Matchstick Productions; he had this incredible performance in Days of My Youth – you really should see it — but he wanted to do something a little bit different. So we decided to work together on a movie. It’s called Conquering the Useless. The title refers to a quote from one of Cody’s favorite alpinists, Reinhold Messner, who is one of the greatest alpinists of modern time, and the quote relates to his philosophy of climbing and mountains and how it’s an act of Conquering the Useless.. We brought in Team 13, a production company based in Salt Lake City, as the cinematographer and editor. But since Cody is the producer it’s sort of like an independent ski film. 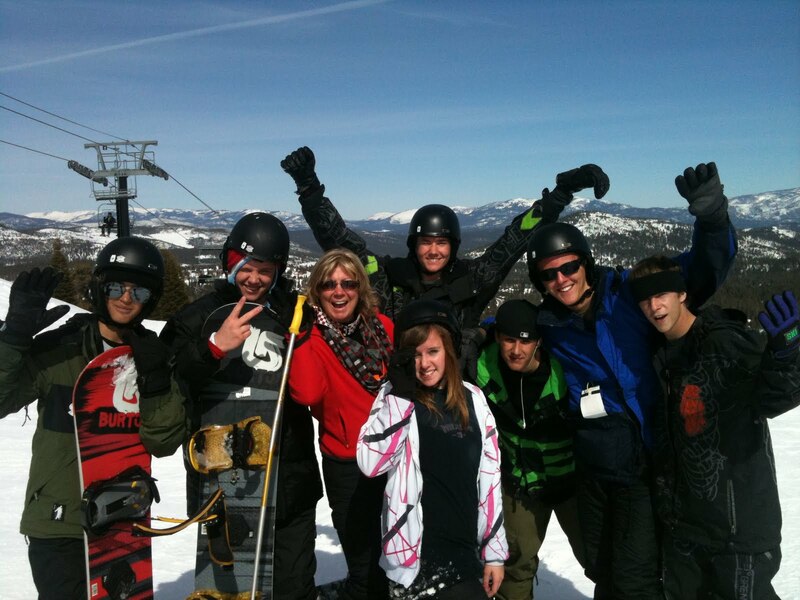 Cody and I are in it, along with Chris Rubens and Dave Treadway. It’ll be out the end of September. I’m working on the website for it now. SD: I understand you’ll be heading down to South America soon. ES: Yes, I’ll be heading down at the end of the month to host a camp. SD: I know you offer avalanche clinics. Is this going to be one of those? ES: No, that happens in early winter. I have to say that I’m really proud of my SAFE AS clinics. I started them with Michelle Parker, Jackie Paaso, Ingrid Backstrom, Lel Tone and Sherry McConkey and Ingrid Backstrom. One day we were sitting around drinking coffee and talking about avalanches, and we decided it’d be really great to offer a women’s specific avalanche course. Most avalanche classes are made up of men. We thought if we created an environment that was for women only, then they’d feel more comfortable and be more likely to come get educated. Plus they could meet other women to become back country partners. We do it in December because for most of the winter we’re pursuing professional our ski careers, so we’re not all available. 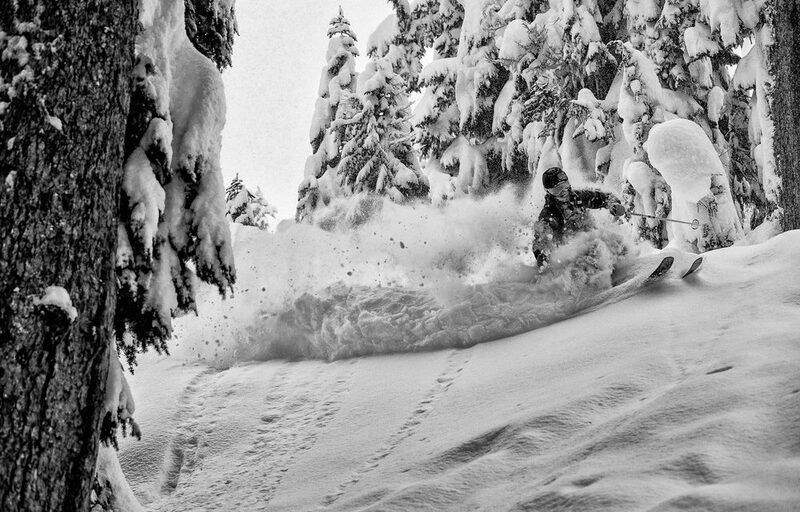 In the past we’ve held the clinics in Colorado, Squaw, Utah, and Washington. SD: Has avalanche training changed as a result of what happened to you? Do you think you have a different perspective or a different way of teaching? ES: Most definitely. I think it’d be disastrous if I walked away from that event unchanged or unable to reflect on it. I do a lot of public speaking, and it helps me come to terms with what happened that day. And that’s hard to do, going over everything and taking apart all the things that went into it — this or that could have led to our demise. So I think humility is a very important thing in being a skier – not only a professional skier, but anyone who skis, either in the backcountry or in bounds. We can’t always think that resorts are the safest places, either. The mountains are alive. But that’s part of what makes skiing so fun. It’s really good to have the knowledge of what’s going on out there and to bring that to the forefront, to remind skiers that we need to be educated and make the right decisions. SD: I see you’re a big proponent of avalanche airbags and that you attribute your survival in the avalanche to that piece of equipment. Is that something you advocate in your clinics? ES: I do believe it saved my life. And I think it should be a part of everyone’s safety protocol along with your transceiver, your probe, your shovel, and above all, your brain. I’m hoping that as time goes by and as people become more and more familiar with these backpacks, they’ll become as standard a piece of equipment as those other items are. SD: I saw in the Times article that after you activated the airbag you thought, ‘gee, I wonder if I’m overreacting,’ which I thought was interesting because I think that’s such a natural response. And as it turned out it was the right move. ES: Yes. When I do my talks about the avalanche, that’s one of the things I like to put out there, because there are several reasons why someone would hesitate to pull the lever on their airbag backpack, like, ‘oh, man, this may cost a lot, I shouldn’t pull it, I’ll have to replace the canister.’ But that’s what it’s there for in the first place. For other people – and this is more in my category – it’s about ego. You think, ‘Everyone is going to make fun of me. I’m going to look like a wimp for worrying that something is going wrong when actually nothing is happening.’ It’s understandable, but if that action could save your life then why wouldn’t you do it. Now I’m glad I did. SD: What advice do you have for someone just starting out in backcountry? ES: Find an avalanche or snow safety course. A lot of resorts offer some kind of talks, and there are web sites that can help you find classes. Then build your gear as you go along. There are so many people out there who are knowledgable. Take advantage of it. SD: Since you went through the avalanche, has your relationship with skiing changed? ES: Probably not in the way people might think; that I’d be scared to go out there. The kind of skiing I do can be very, very frightening. But the one thing the avalanche did was make me more methodical than I was in the past. I really think through where I’m going and what I do and who I’m skiing with; I don’t naively put my trust in others, which I used to do a lot more readily. I still love skiing more than anything and I think that in life in general there’s risk, so I do what I can to minimize that as much as possible. I’ve learned how to say no, and I think I’ve become more confident in being able to speak up and say that I’m not comfortable with something. I’ve done pretty well so far. I’m always aware that there’s always an unknown. SD: Was it difficult for you to get back out there? ES: You know, it really wasn’t. I started skiing about a week after the avalanche. For me, it was cathartic to be out there with friends. There was so much media attention around that incident. But my friends understood our lifestyle, what we go through. They were very supportive and it felt comfortable. And I wanted to jump back on the horse. I didn’t want skiing to become something I was scared of. SD: I read your interview in Powder, and it said you’d been having difficulty getting sponsors, which pretty much blows my mind. ES: Yeah, you know, it’s difficult in being a female in action sports or in sports in general. SD: Why do you think that is, and what does that say about women in the ski industry? It reminds me of Lynsey Dyer* and ‘Pretty Faces.’ She had a lot of trouble getting sponsors for her movie, and ended up running a Kickstarter campaign with tremendous response. She ended up doing very well. ES: It has a lot to with the ski companies. I’m sorry to say that some of the people who are in charge just don’t see women as a valuable asset to their companies. They don’t see that the women’s market is as important as it is. The Pretty Faces movie should have been a very good example for them. I mean, look, you may not want be fund ski movies that feature women, but the public will. They want to see them; they want to be inspired. I don’t think the industry noticed. It’s still the token female syndrome, where you have one female per company. It’s really unfortunate. I feel like there’s been a lot of women in action sports who’ve put themselves out there on social media to get attention. They may be amazing athletes, but they put themselves out there in bikinis. It doesn’t make sense. It’s an interesting situation. SD: You’ve had some amazing accomplishments. What are your goals now? ES: I’d like to do more public speaking, things along those lines. 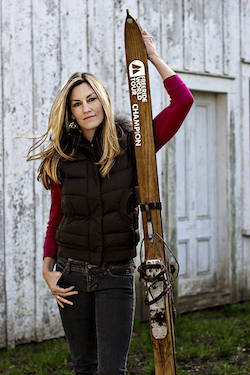 I want to promote skiing in positive ways to inspire females, from young girls to older women. As long as I’m doing that and making a difference, that’s good. For more information about Elyse Saugstad and her SAFE AS avalanche clinics, visit her website here. * To see my interview with Lynsey Dyer, go here. PreviousEight fitness myths you should ignore. NextWhy you need a vacation. What you need to know about NASTC.